We’re always excited to learn of the accomplishments, internal wins, and successes that our customers achieve. Our customer success and account teams, who work closely with them, see first hand the benefits that many facilities management professionals bring to their organizations. We enjoy sharing the best practices that they follow with their peers, and more broadly, through a number of FM case studies highlighting the results they’ve realized. However, it’s particularly rewarding when a ServiceChannel client is recognized indepedently across the industry. This year’s recipient? None other than ServiceChannel customer and adidas North America’s Kirk Beaudoin, Senior Facilities Manager, FMA, RFMP, LEED Green Associate. Facility Executive Editor-in-Chief Anne Cosgrove has a great story on why Kirk was named this year’s Facility Executive of the Year. Kirk started at adidas in 2012, as a facilities management department of one(! ), managing over 100 stores across the US. 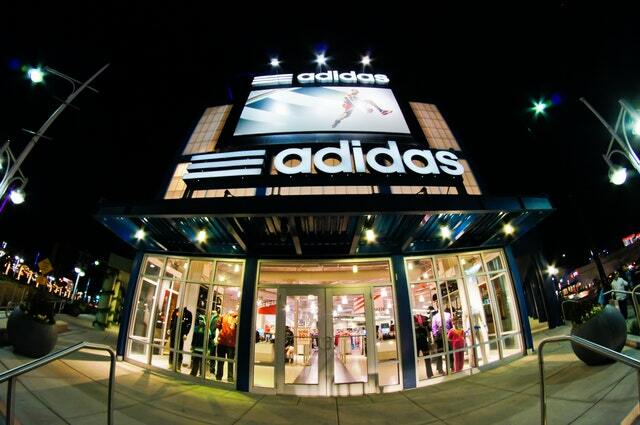 According to Facility Executive, after establishing a systematic approach and new standards, Kirk “began moving the adidas retail facilities management operation from a reactive fix ‘eventually’ model, to a quality support/service department.” And as anyone with a small team realizes, it’s critical to have comprehensive facilities management software in place to extend your own capabilities. The story highlights Kirk’s emphasis on managing external vendors, as he has a heavy reliance on them to ensure he’s delivering exemplary quality of service. He reports directly to the head of construction, which enables him to have a voice in new store construction standards. In 2016, he ‘doubled’ the department’s size, adding Patrick Koehler as an Associate Facilities Manager. Since joining adidas, Kirk’s responsibilities have grown as he now manages 235 retail locations, encompassing 1.7 million sq. ft. (for both adidas and Reebok brands) and a $13 million budget, with $1 million in CapEx projects. Each of these initiatives delivered real dollar savings, and the replacement program even received an award from the Department of Energy. As a long standing ServiceChannel customer, we’re proud of all Kirk has accomplished, and glad that our Service Automation platform has helped contribute to the success he’s brought to adidas. And if you have ideas for other professionals for next year’s award, it’s not too early to get your submission into Facility Executive (August deadline).